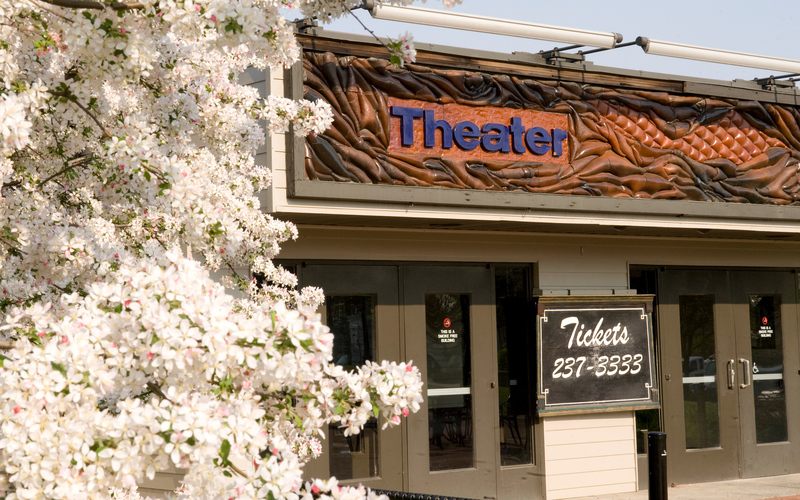 Crossroads Repertory Theatre is in for a venue change this summer. 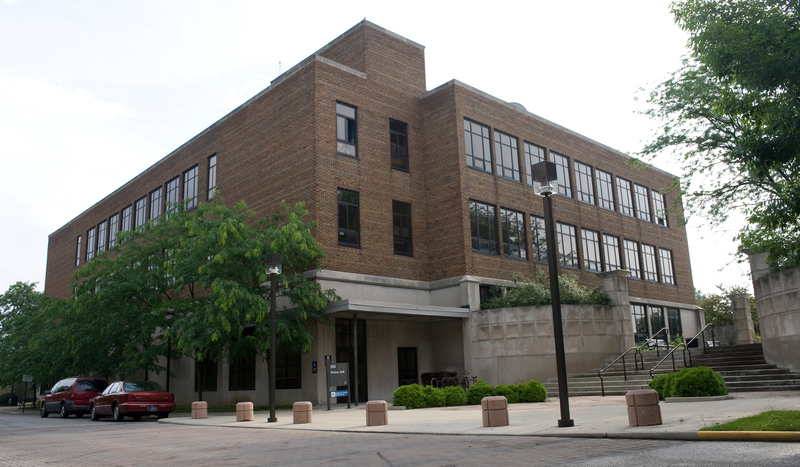 Because of a renovation of its usual home of New Theater, Crossroads will be performing their 2018 season on the Dreiser Hall stage, located on south Sixth Street, near Dede Plaza on the Indiana State University campus. Planning for the renovation of New Theater has been approximately five years in the making and centers around the replacement of its lighting grid and performance technology systems. "One of the main goals of this renovation is to make the theater safer for our students and patrons," said Michael Jackson, associate professor and production manager of the department of theater. "We want to bring this facility into the 21st century. Computer technology has become much more prevalent in the lighting, projection and sound design of theater productions." So May is busier than usual for the theater department: administering final exams, navigating the New Theater construction zone and facilitating the start of Crossroads Rep's summer theatre season, which opens June 22 with "Steel Magnolias" in Dreiser. "Physically moving equipment from the New Theater over to Dreiser has been a challenge," Jackson said. "We've had to haul over a hundred lighting instruments, as well as all of our sound and projection equipment. Then we had to find homes for all of that in the limited storage space available at Dreiser. Usually, we move about half of our equipment back and forth between the two theaters, but we have never had to completely strip the New Theater and relocate everything to Dreiser before." The move requires a lot of manual labor. "It's a good opportunity for our students, because they can make money by helping," said Jackson. "We hope in the future that we can provide more opportunities for our students to work for us instead of having to go off campus." The department also faces the challenge of directing longtime patrons of Crossroads Rep, who are accustomed to coming to New Theater each summer, know to come to the Dreiser this summer. "The College of Arts and Sciences has agreed to fund student workers out of the dean's office student worker pool and also provide golf carts for the first weekend of our season," Jackson said. "We also plan on having a lot of signs around pointing to Dreiser and promotional and press materials will emphasize that our 2018 season will perform at the Dreiser Theatre venue." The new-and-improved New Theater will offer philanthropy opportunities, as well as recruit new and additional students. "Some prospective students may choose other programs based solely on facilities," said Jackson. "Our hope is that students not only see the physical improvements, but also experience the opportunities offered by our department as a whole. We also hope these renovations will lead to future upgrades the New Theater. This is an investment in not only our department but the College of Arts and Sciences and State as a whole." In addition to "Steel Magnolias," Crossroads Rep's season is defined by big-name productions such as their biggest musical to date -- "Hairspray" -- and "War of the Worlds." "Steel Magnolias" is a comedy-drama with an all-female cast about the bonds between women who gather in a beauty parlor in rural Louisiana. It runs 7:30 p.m. June 22, 23, 28, 29, July 18, 21, 26 and 4 p.m. June 24. "Hairspray" is a musical about Tracy Turnblad, a teenager who aspires to be on a Baltimore TV dance program in the early 1960s. However, plus-sized Tracy is not anyone's idea of the show's typical act. "Hairspray" runs 7:30 p.m. July 6, 7, 20, 25, 28 and 4 p.m. July 8, 22, 29. "War of the Worlds," a radio play within a radio play, is a thrilling homage to the form's golden age and timely reminder of what fear can do to a society. It runs 7:30 p.m. July 13, 14, 19, 27 and 4 p.m. July 15. For more information about this summer's season or to buy tickets, go to crossroadsrep.com or call the box office at 812-237-3333. Because of a renovation of its usual home of New Theater, Crossroads will be performing their 2018 season on the Dreiser Hall stage.